IF you are not satisfied with the present sound of your car speakers, now time to upgrade. Before upgrading car speakers you should consider some things. Every car is different, so each one needs to different speakers. But it’s very difficult to choose which the best speakers for your car. Because many branded car speakers are available in the market. 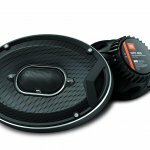 This article will help you to get best car speaker for your car. I write this article after many studies and research about car speakers. Just I want to help music lovers who want to invest their money in upgrading stereo system. There are some things to look for speakers. If you consider this kind of things before buy, of course, you get the best speakers for your cars. Actually, car speaker comes in many size, shapes, style, and quality. So at first, you should need to decide what kind of speaker you want. Make answer about some question. It’s bass heavy or guitar stand out? Do you listen to radio or CD? Do you want to read audio books? Each of these types of the speaker has different sound who suit them. Many times some of the people want to a speaker that perform multiple tasks, that means all in one speaker. So at first, you should decide what you need, it’s the best way to listening experience. On the other hand, if you can’t make a decision that which types you want, it may be a waste money. Coaxial car speakers are the most common type of speakers. This kind of speaker is installed factory by Manufacturer Company. It has two pairs, one pair in the front and another pair in the back. There are a cone woofer and tweeter who mount on the top. The tweeter takes care high frequency and the woofer is mid-range. The coaxial speaker has lacked an amplifier and sub-woofer. The sound qualities of these speakers are medium but quite adequately. Actually, Real audiophiles want to buy something that will provide high end and lifelike sound. But who not audiophiles they can choose this coaxial car speaker for medium sound quality. You may like to get 2-way, 3 way, 4-way coaxial speakers. The 2-way speaker has one woofer and one tweeter on the top. 3-way means one woofer and two tweeters, the extra tweeter for better audio quality. The woofer can reproduce sound within 15-10,000 Hz range. But the frequency range that human can hear is 20,000 that’s why need a tweeter. Because of tweeter can reproducing sound within 10,000-20,000 Hz range. This kind of car speaker able to provide high-end sound and custom installation. In this component system, the woofer and tweeter are separate. And it included in crossover filter networks. This crossover filter networks improve sound quality by distributing audio signal into the relevant component. If the frequency will be higher than 10,000 then it diverted to the tweeter. But if the frequency signal below 10,000, then it would be going to the woofer. Some of the component system use sub-woofer for handling low frequency. And many component car speaker system has an amplifier for delivering high-quality audio. Also, you should take a look at materials used by making the speakers component. If the cone woofer is made by denser materials such as Kevlar, fiber glass etc, then it can deliver deep bass. And the woofer needs to made by denser, thick wood. the speaker should build by aluminum for long lasting. Sound Quality: Most of the people want to upgrade their speaker for better sound. But the matter of sorrow If the new speaker provides poor sound then old. Just not only sorrow but also a waste of money and time. So at first, you need to check sound quality on the car speaker. To get the best speaker you should take some time to listen to demo music. If able to deliver good sound with deep bass, you may buy. Sensitivity And Power Handling: Sensitivity means how much sound can deliver depending on input power. Additionally, the low power stereo needs higher sensitivity. As much as you find the right match between sensitivity and power, you will get good sound. How much power can take a speaker without any sound distorted, that depend on power handling capacity? Power is measured in watts ( peak power and RMS power). If your car stereo power is low then you need low power handling capacity. But if you have high power car stereo then you need to high power handling capacity. Materials used by made: An ideal always made of good quality materials. If used materials are not good quality then be sure that that speaker not lasting a long time. On the other hand, if the speaker made by high-quality materials be sure that speaker performs a long time. So the materials are also very important under consideration things. Always mind it “ good materials means long lasting speaker”. Installation system: Installation system is another most important things. If you buy a speaker but you do not install it yourself. Just Think how much boring you fell for that. But installation system was easy then you can do it yourself. As a result, you should look at installation system. Always try to buy car speaker who has super easy installation system. Summary: Maximum car company is very serious about their car audio. They always try to include a good quality speaker for great audio. It involved their reputation on a customer. So we think Your included car speaker is good. But even then you not satisfied that audio or anyhow damage your speaker. And you really need to upgrade. Please keep mind above my detailed report. I believe that this article will be helpful for you. Just I try to collect some information from internet research and car speaker expert. As a result, i find out some high-quality and best-selling car speaker product who wins customers. If you read my full article, just find out this feature into a car speaker before buy. Get best car speakers for sound and be charming with listening music.